Consumers are often importuned to exercise responsibility in the market sphere and to consume with an eye to their obligations as citizens. They express their ideals directly through their purchases, participating in larger-scale protests: boycotting products from a large multinational corporation, buying “ethical” products, resisting advertising campaigns and supporting alternative forms of trade. Whether in the form of a small collective action or a mass movement, the capacity to put new environmental or ethical social issues on the political, economic or media agenda via the market is quite real. While most ethical consumption does not challenge capitalism or the very foundations of the market itself, it does raise issues and consciousness about social and environmental justice. 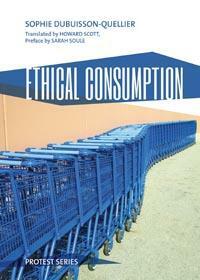 In Ethical Consumption, Dubuisson-Quellier suggests that ethical consumption can create a consumerism that is not only a forum for expressing the needs and wants as the market has done in the past, but as a space for the construction of social responsibility.